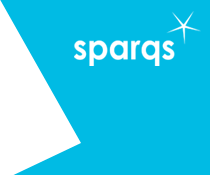 sparqs is has developed two distinct but similar projects with universities relating to growing areas of non-traditional modes of delivery. One concerns online distance learning (ODL) and the other transnational education (TNE). Both of these are areas of growth in Scotland's universities, with increasing internationalisation of higher education and a growing market for more flexible delivery creating a need to support learning that may not necessarily happen face to face in Scottish campuses. Often they are managed, defined and researched as one phenomenon, but for the purposes of sparqs' work they are being explored through separate but complementary projects. sparqs has been led by sector demand and interest in the development of these projects, and has in turn contributed to sector activity, for instance in presenting about both areas of work in QAA Scotland's 2015-16 Focus On Collaborative Activity project, and presenting a paper and presentation to the 3rd International Enhancement in Higher Education Conference in June 2017. Both the ODL and TNE projects have been driven by the priorities of universities across Scotland, and in each case a small group of institutions and students' associations have worked with sparqs to develop resources that can be of benefit to the sector. sparqs has developed a resource on the engagement of online distance learning (ODL) students in shaping the quality of their learning experiences. With ODL students often studying some distance from their university's main campus through online and blended means, traditional mechanisms of feedback, representation and engagement may not be appropriate. This is coupled with the fact that, due to the flexibility offered by ODL delivery, students on such courses are frequently also mature or international students who often part-time or at postgraduate levels. The demand and capacity of such students to engage in quality can substantially differ from those students, sometimes even on the same course, who study at the same campus as their teaching staff. By working with a number of universities to explore their areas of effective practice and priorities for development in this area, sparqs is aiming to produce a toolkit that focuses on the structures and activities of student engagement, and how the ODL student voice can be a part of both. The resource was completed and published in June 2018 and can be downloaded here. An increasing feature of the work of Scotland’s universities, TNE involves students studying through Scottish universities at overseas campuses which are managed either directly by a Scottish university or through a locally-based partner organisation. Transnational education presents many challenges for universities, students’ associations and of course for staff and students at TNE campuses, ranging from the administrative to the cultural, and this is reflected in the complexity of ensuring students play a key role in shaping decisions about the learning experience. There are questions around how students on TNE courses can be involved at an individual level in shaping their learning experiences, but also broader questions around how students' association activities and other institution-wide quality processes can best accommodate and respond to the experiences and views of TNE students. Students working with their institution in shaping the direction of learning. Formal mechanisms for quality and governance. Influencing the student experience at the national level. The resource is due to be completed and published in autumn 2018. If you would like to find out more about either of the above projects, please contact Simon Varwell.